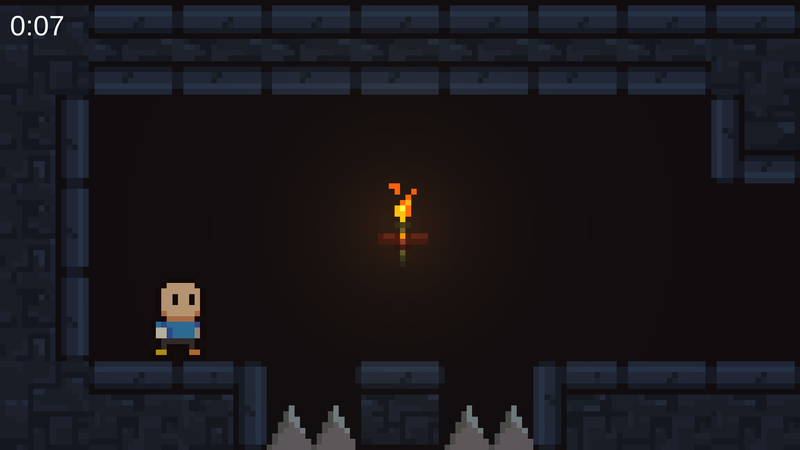 This game is a simple platformer. If you fall on spikes or monsters you die, and you’ll respawn on the last checkpoint. Oh, also, every new room you discover has to fit to the screen, so, everytime you enter a new room, everything shrinks to fit on your screen. The checkpoints will reset this. Entry for the Ludum Dare 40. Great game, but needs more content. I think the concept's really clever and fun! Interesting way to increase challenge over time. Great work! Love the art style and movement mechanics are smooth as silk. Keep it up! Really sweet platformer, I really liked the idea you had for the camera. The jump have a nice feel too ! 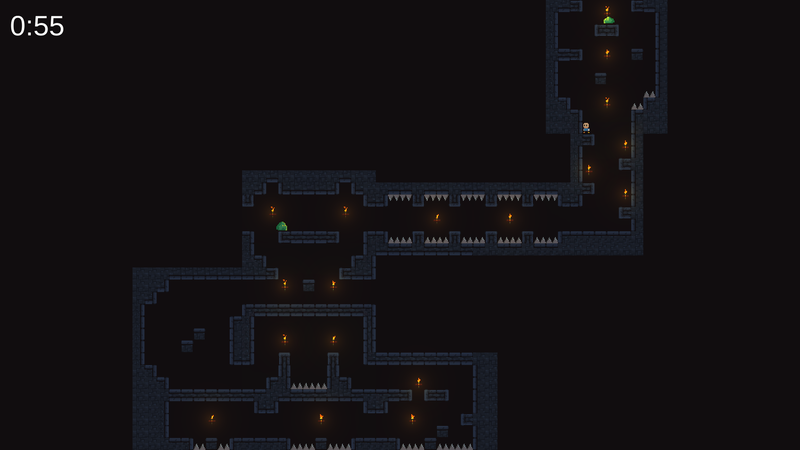 Super cool, did you draw the graphics for the ludum dare? I love the character animation. Sure. 57 seconds. Give me some time, and I can go lower too if you want. I loved the concept of this game so much! 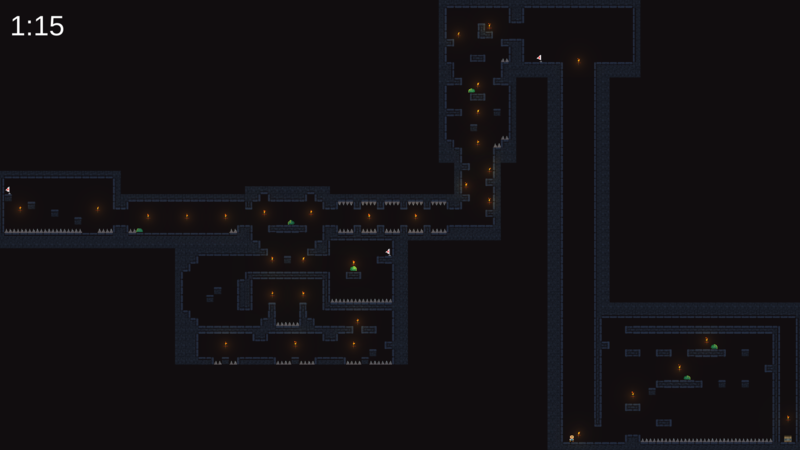 The checkpoints are spaced out perfectly so that it gets slowly and slowly more difficult to see, before bringing to all back. Also, the fact that you put the checkpoints a little out of the way meant that you had to actively worked for them, and also let people challenge themselves by skipping the checkpoints altogether. The discovery mechanic kept you on your toes, and I'll admit that the spike pit by the first checkpoint got me the first time I played through. My only issue is the long hall and drop at the end. There's no difficulty in it, and all it does is add another 5 or so seconds to your game time. 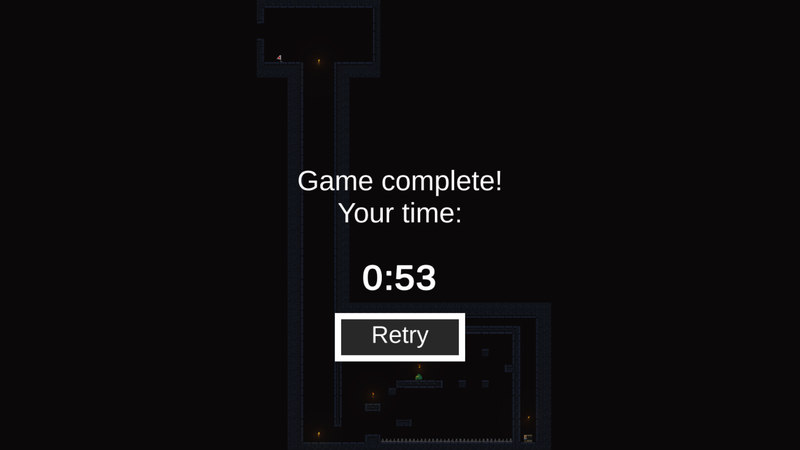 It's actually a little frustrating to encounter when you're speedrunning, because it throws your estimation way off. Very nice game! I enjoyed a lot. Add more levels, a menu and you will have a great game. Hi! My name's Sasha Zenko. I'm from Belarus. I have a program that allows me to assign keyboard controls to mouse movements. I have played your game and I think it’s awesome! It's very good. I like it. Short, but promising. I can really imagine this game turning out into a fully fleshed out game with several levels you have to conquer. This is the first time I've seen a concept like this and I really enjoyed playing it! Would love to have a restart button. A brilliant take on a simple platform game. The screen zooms out like to fit the screens into the one play area the further you explore. Genius. Excellent game even if it is too short. We want to finish it and improve its score. Great job! Amazing... <3 Great job! 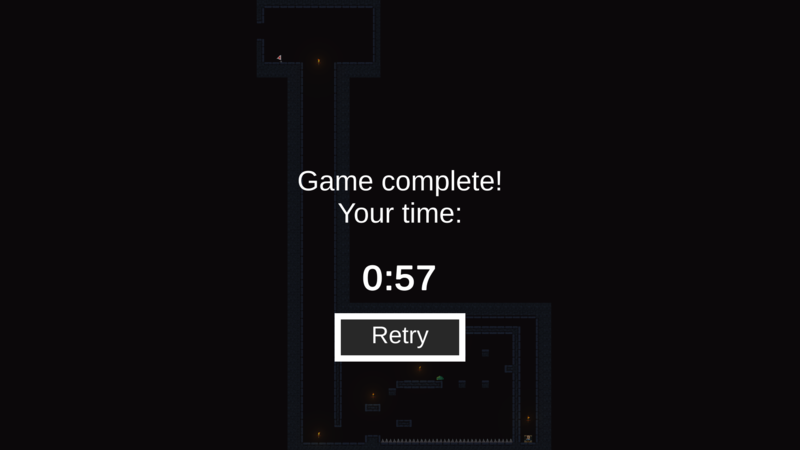 Beat it under 7 minutes with my first run through. ayyy managed to get 0:59, really fun game with a really good concept. id love to see this crossed with a simplified version of SOTN's progression, combat and puzzles, itd be a really cool game. as it stands currently, its still a really really fun game, do you have plans to continue it after the jam? Very well done. Loved the tight controls! Thank you very much for the video and the good words!! 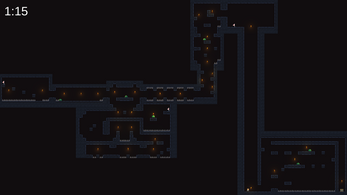 The game has been very well received, so I probably make more levels and add some new mechanics.